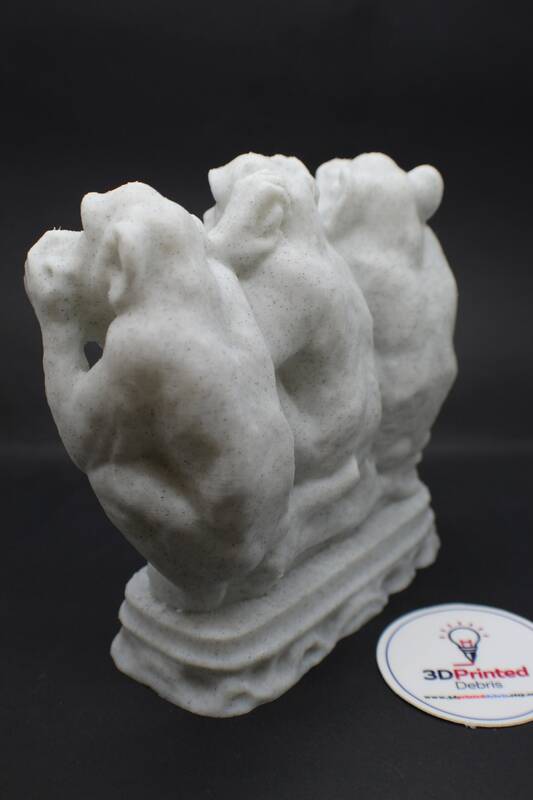 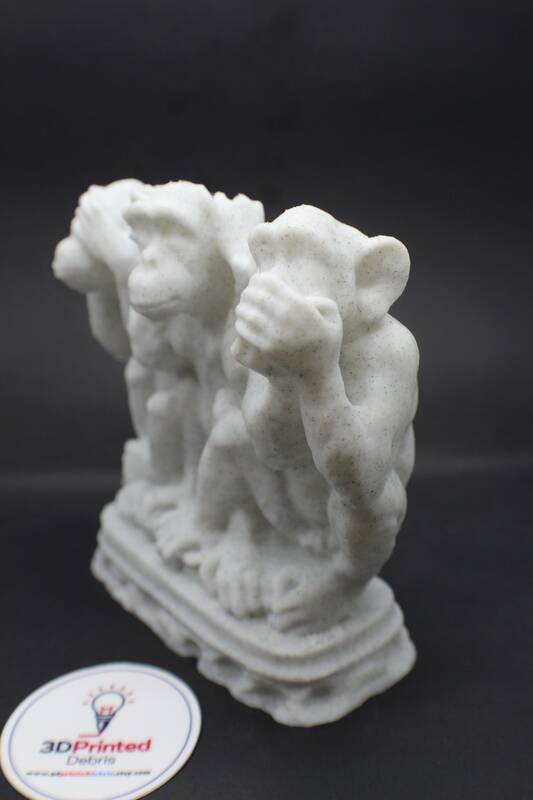 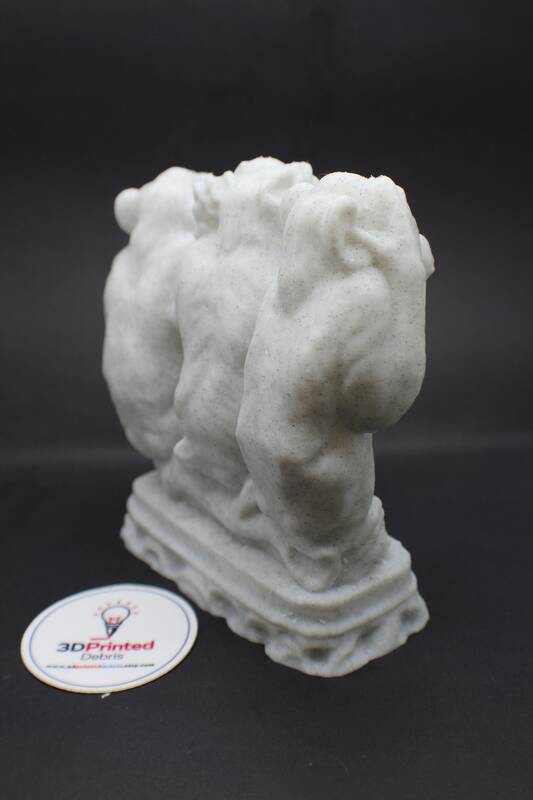 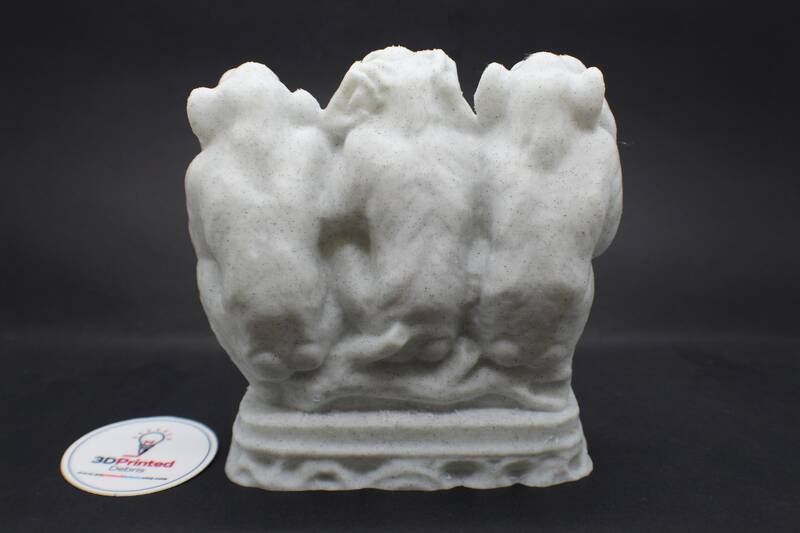 This is a 3D printed replica of the "Three Wise Monkeys", also known as See No Evil, Hear no Evil, Speak No Evil. 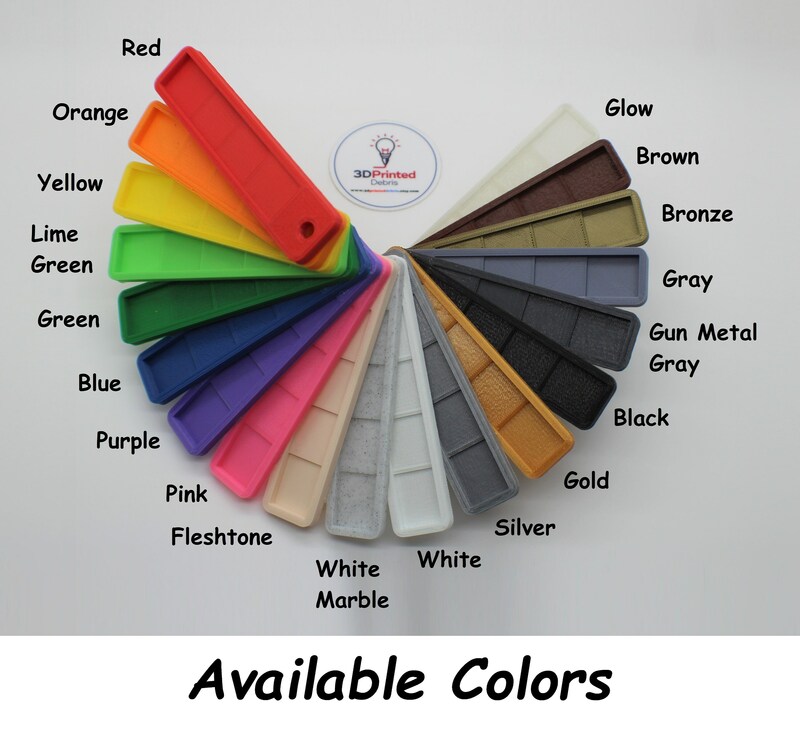 They come in multiple sizes and in any one of my 19 color choices. 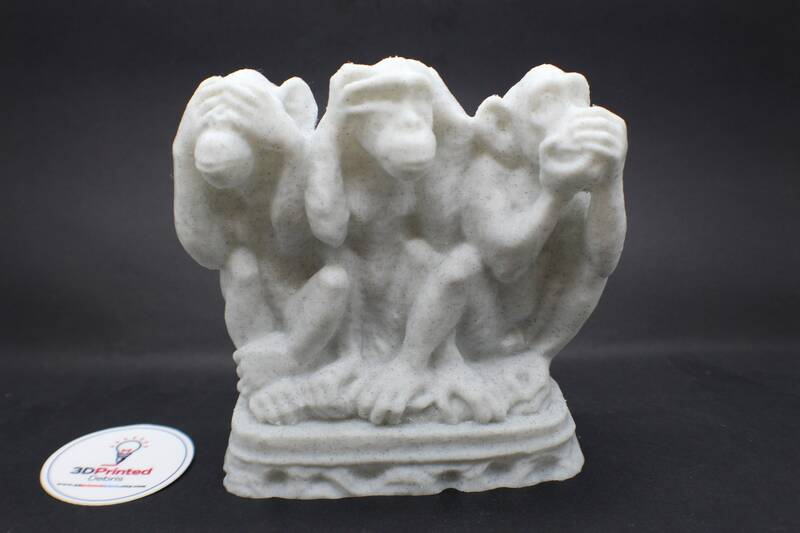 he three wise monkeys are a pictorial maxim, embodying the proverbial principle "see no evil, hear no evil, speak no evil". 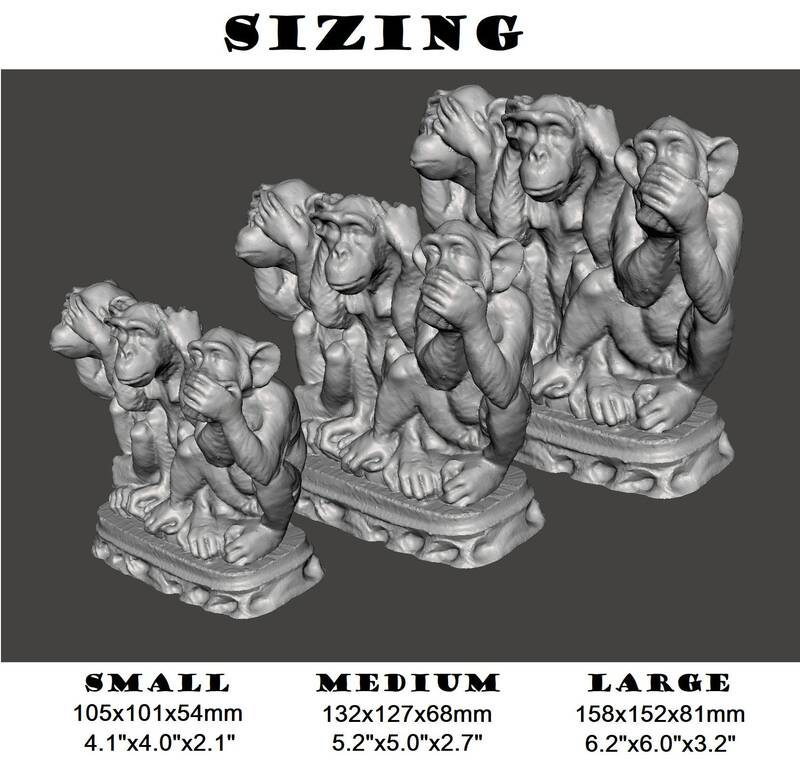 The three monkeys are Mizaru, covering his eyes, who sees no evil; Kikazaru, covering his ears, who hears no evil; and Iwazaru, covering his mouth, who speaks no evil. 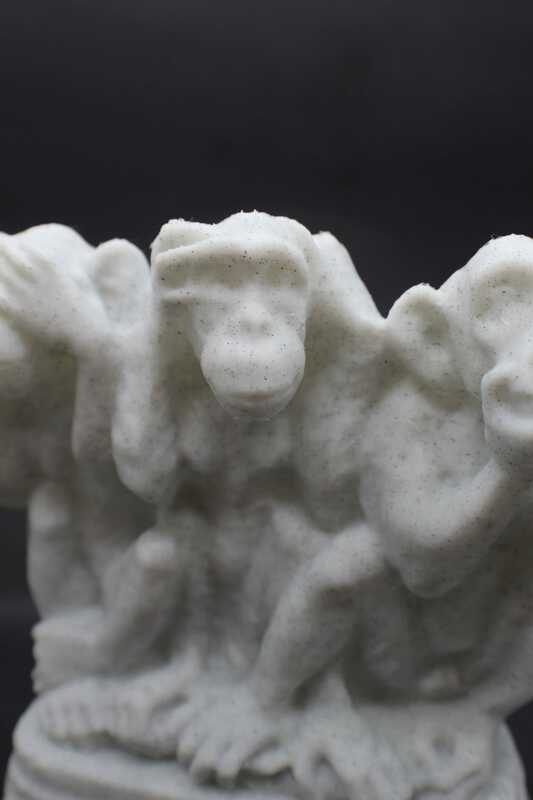 Lafcadio Hearn refers to them as the three mystic apes in his Glimpses of unfamiliar Japan (volume 2, page 127). 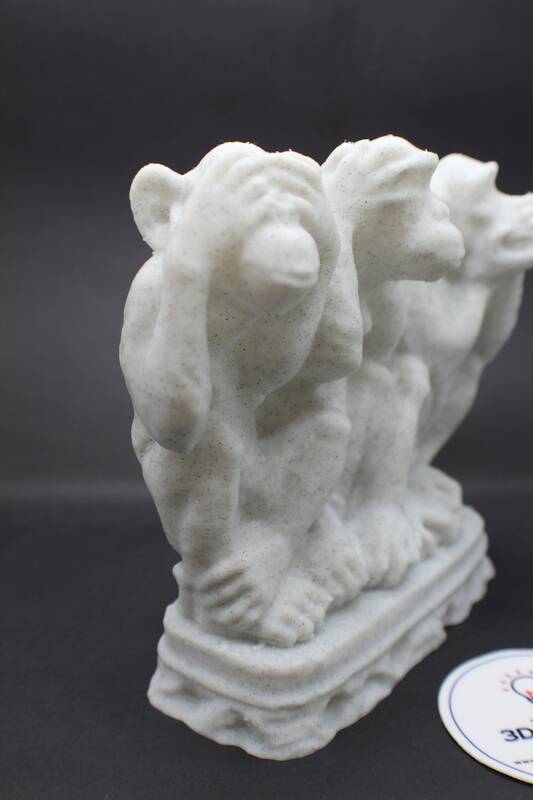 Outside Japan the monkeys' names are sometimes given as Mizaru, Mikazaru, and Mazaru, as the last two names were corrupted from the Japanese originals. 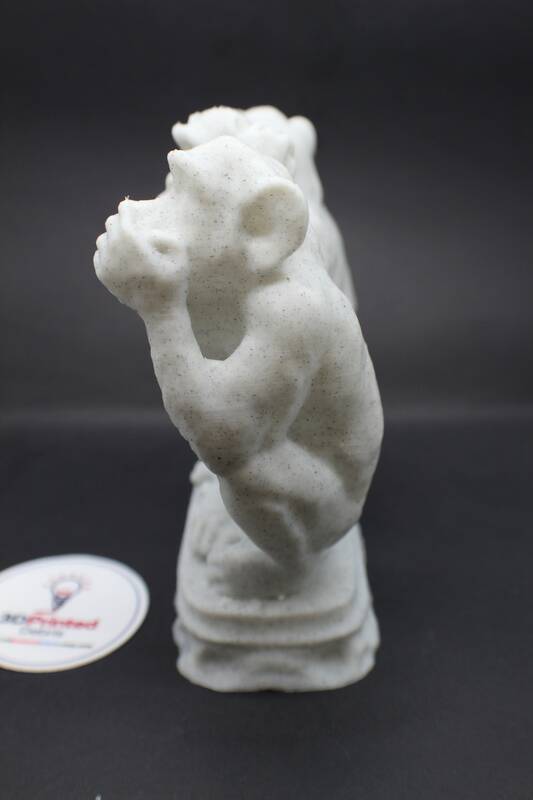 The monkeys are Japanese macaques, a common species in Japan.